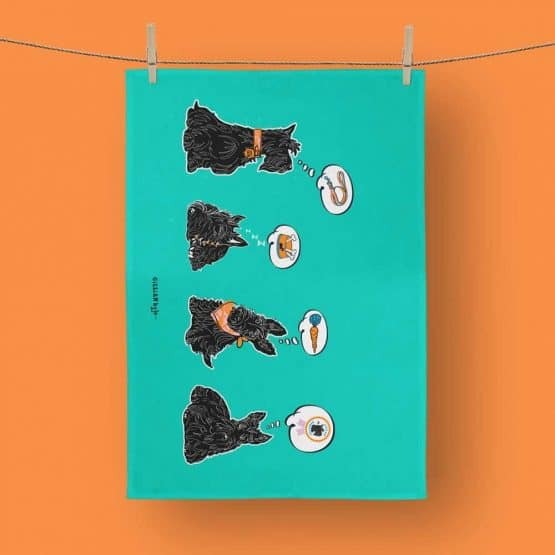 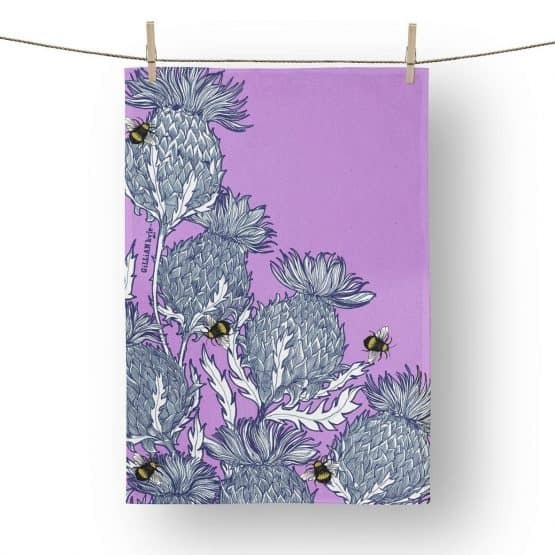 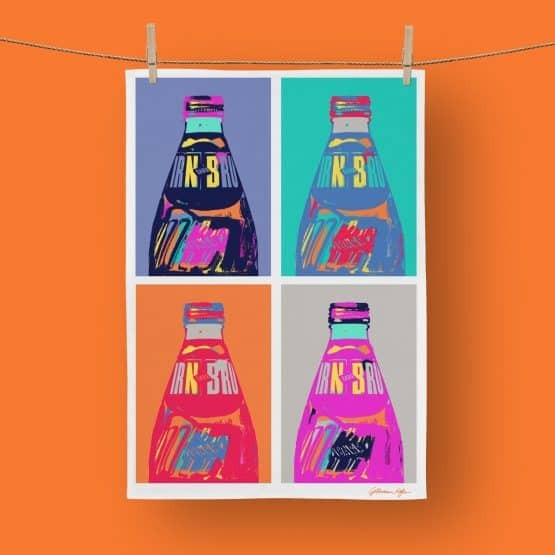 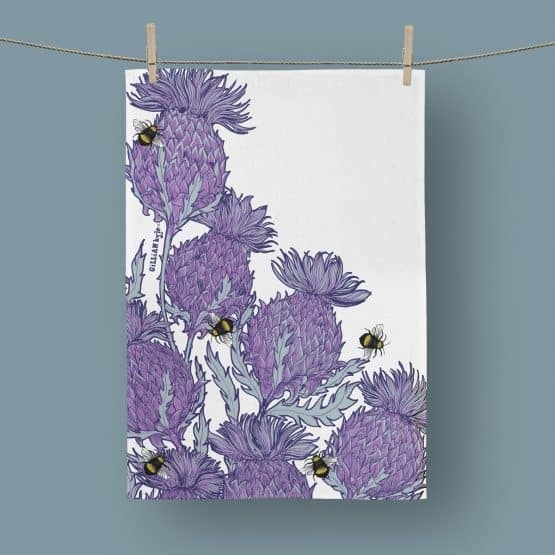 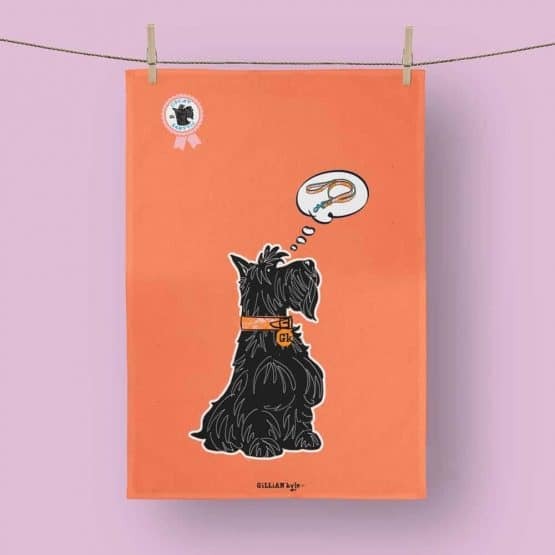 Spanning a huge range of Scottish subjects from IRN-BRU to Scottish Thistles, our beautifully unique, 100% cotton Scottish tea towels are a wee bit of art for your kitchen. 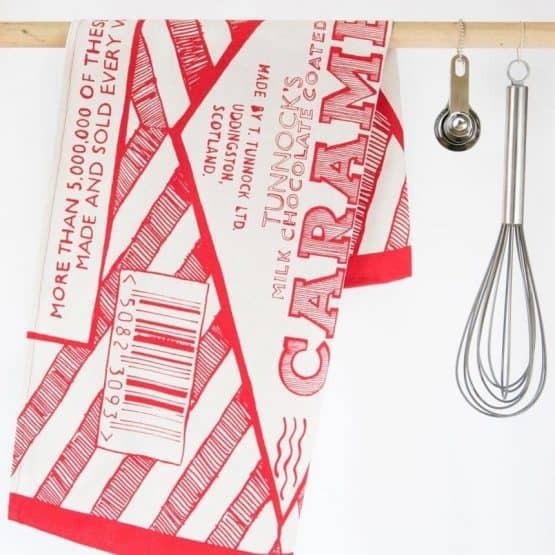 Too good by half for those old pots and pans! 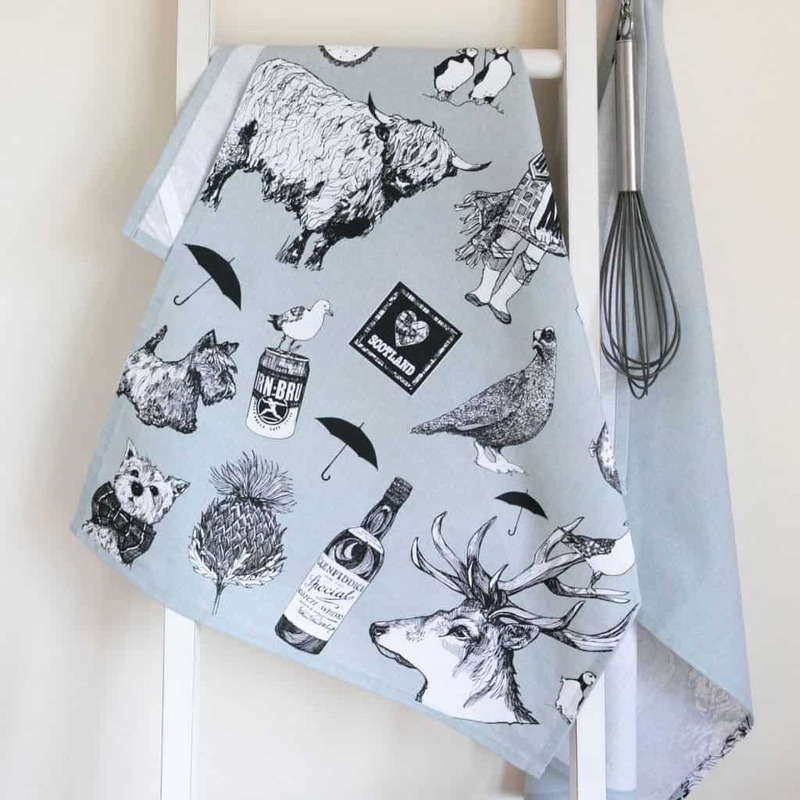 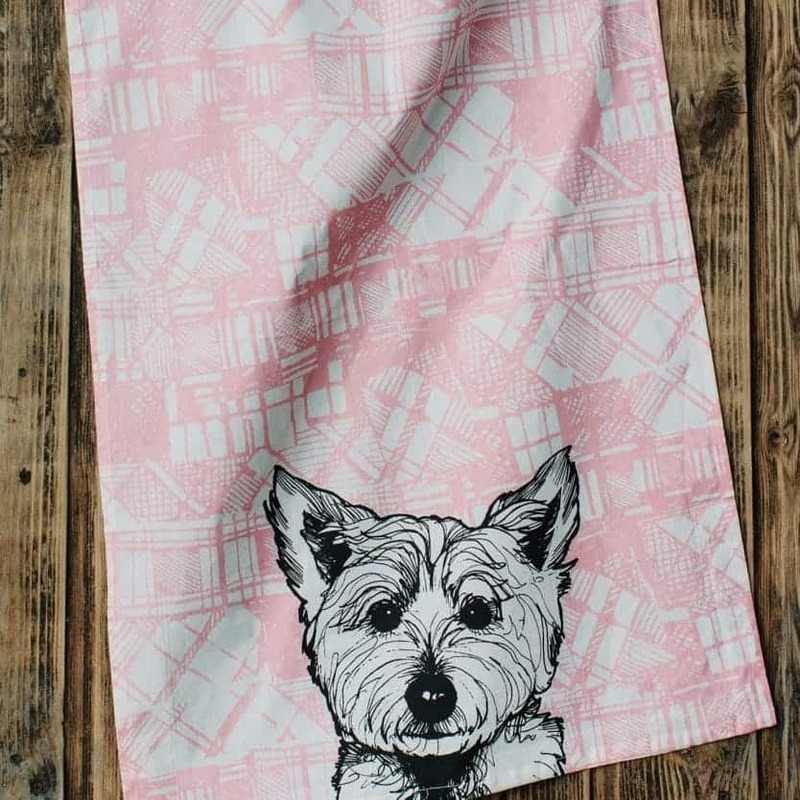 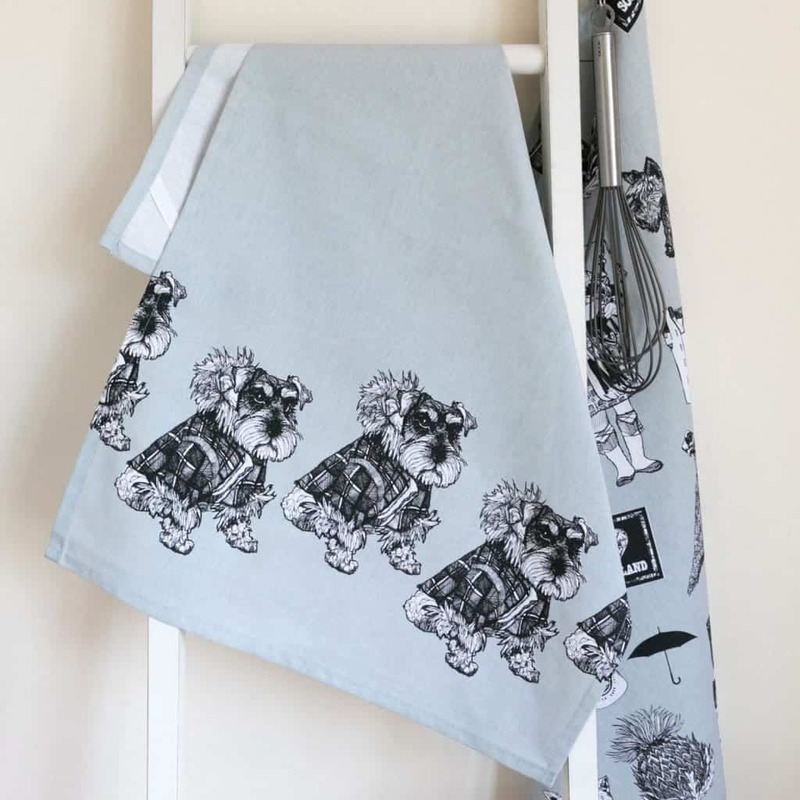 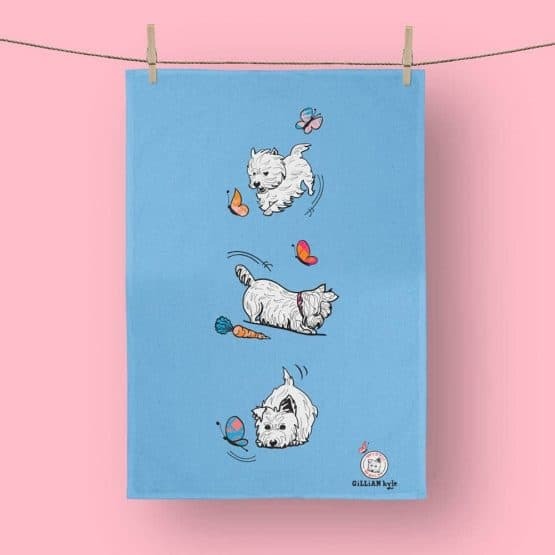 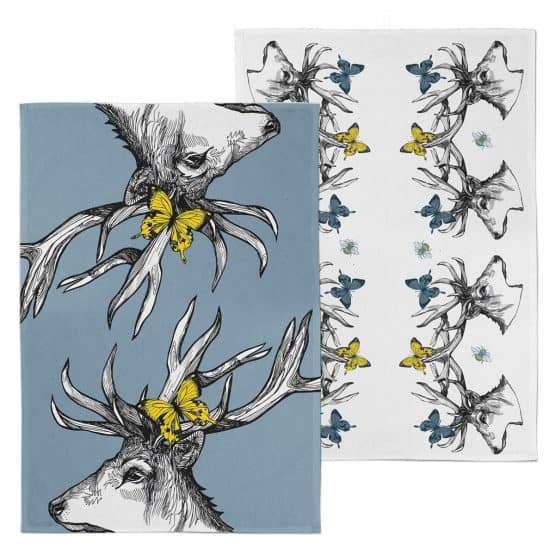 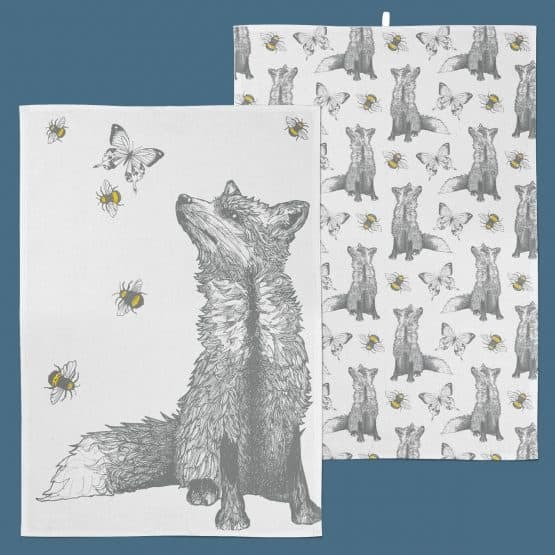 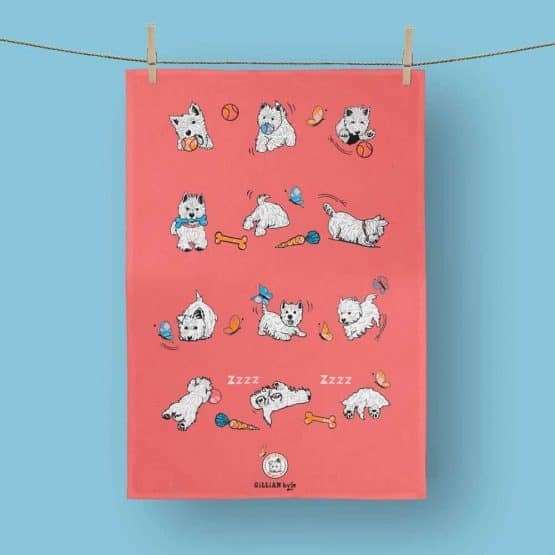 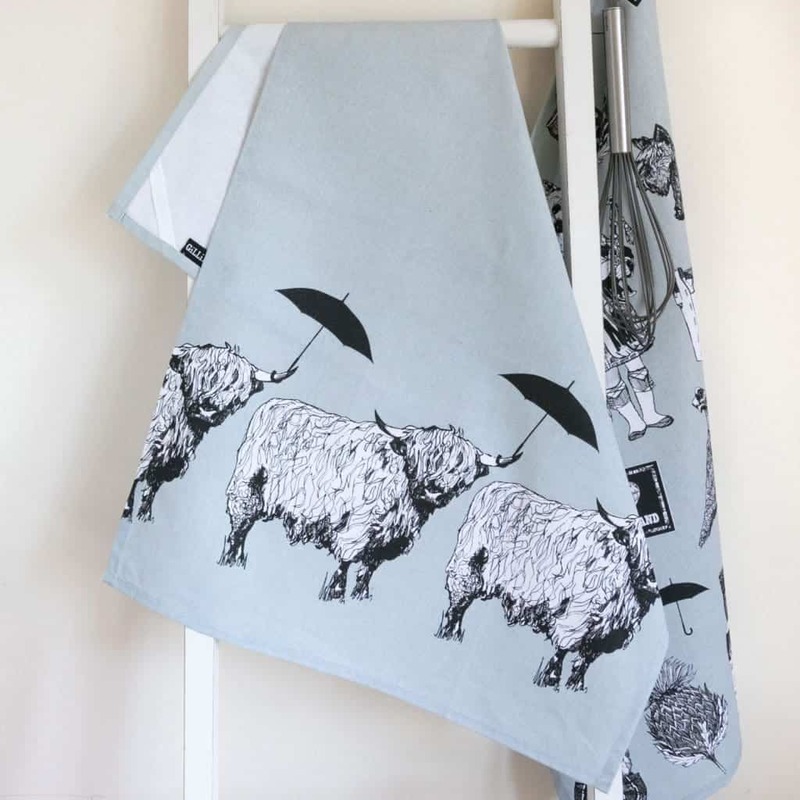 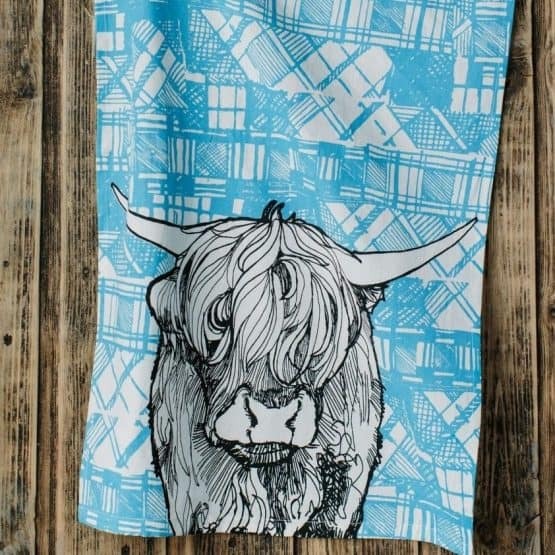 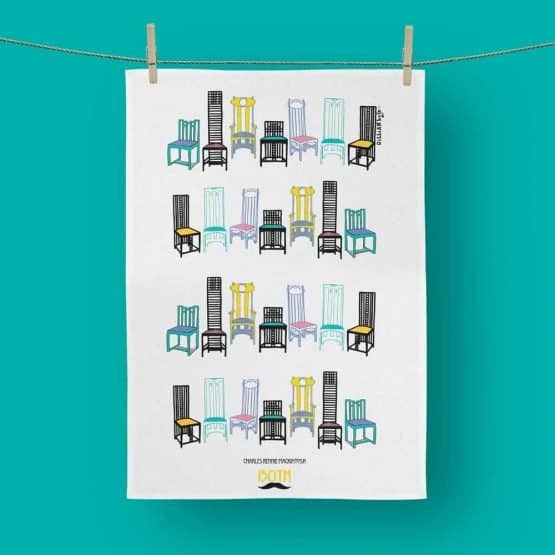 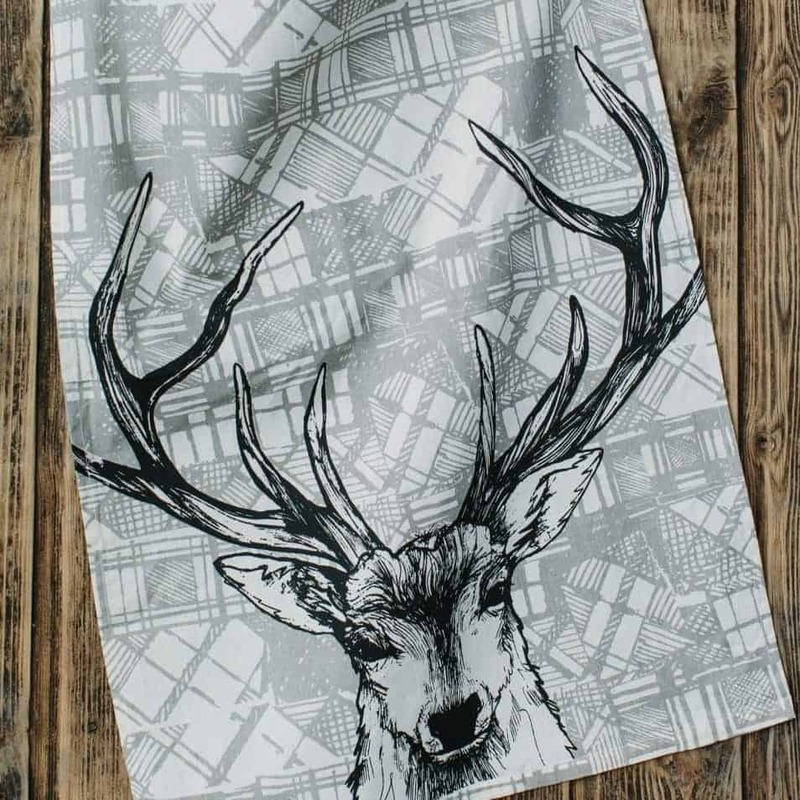 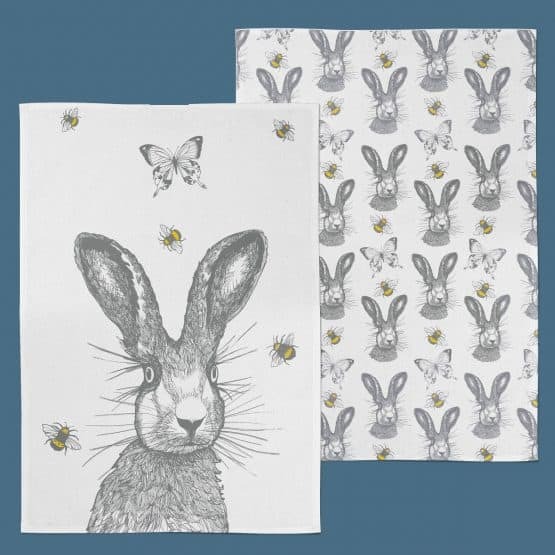 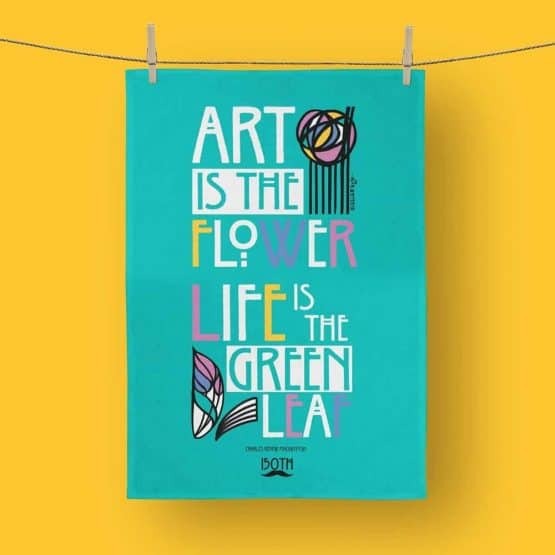 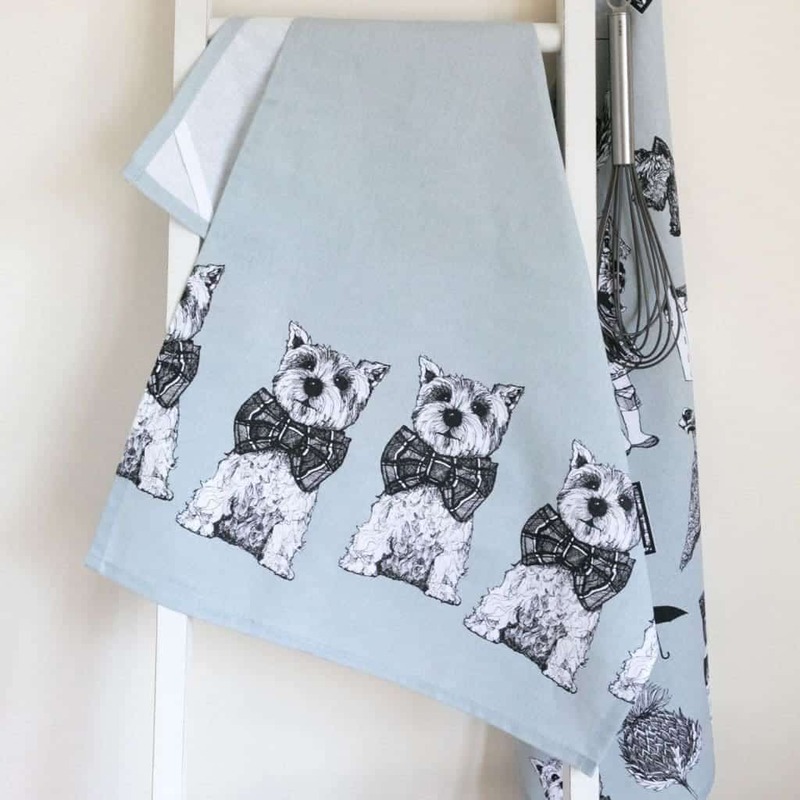 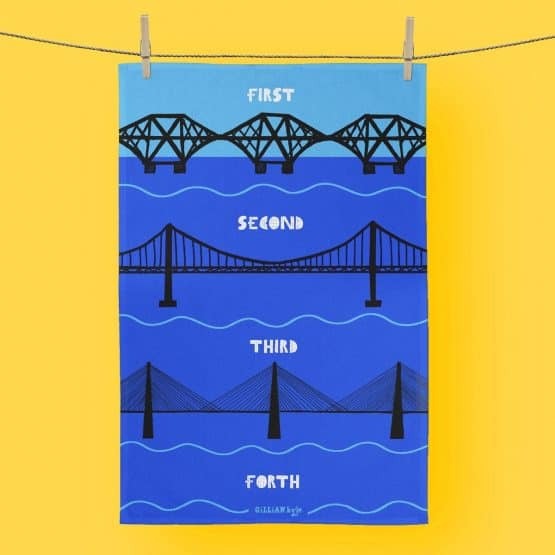 Bring some of Scotland’s latent charm and character to the most mundane of kitchen chores with Scottish artist Gillian Kyle’s Scottish tea towels. 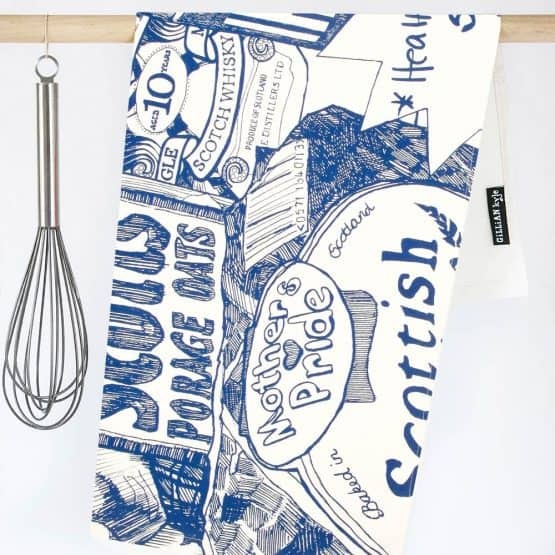 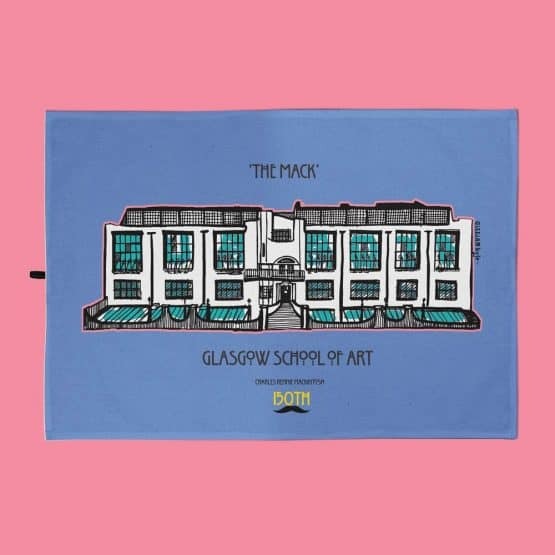 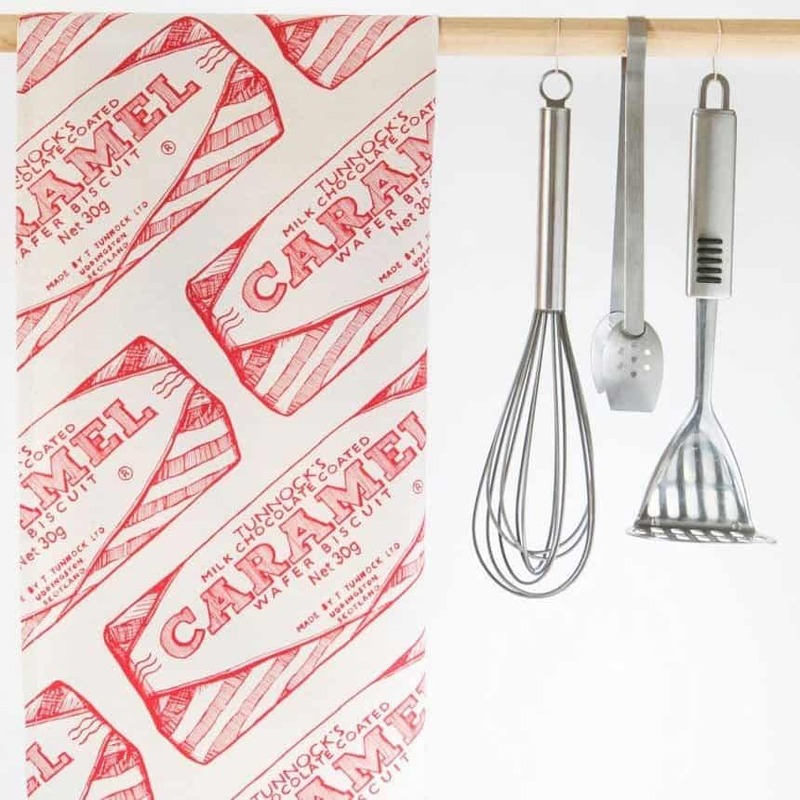 From the mischievous antics of Westies, the grandeur of the three Forth Bridges, Charles Rennie Mackintosh timeless designs and, of course, the irresistibility of Tunnock’s, there is a little moment of Scottish magic captured in each of these uplifting Scottish tea towels. 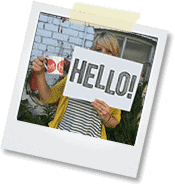 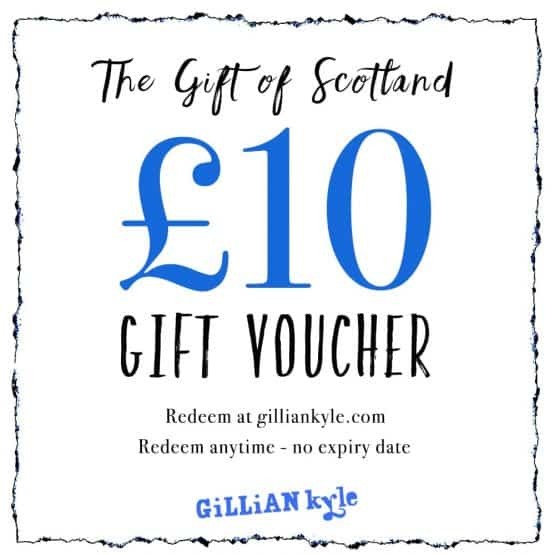 Bought to you by Scotland’s best-loved Scottish gift company.